14th October 2015. 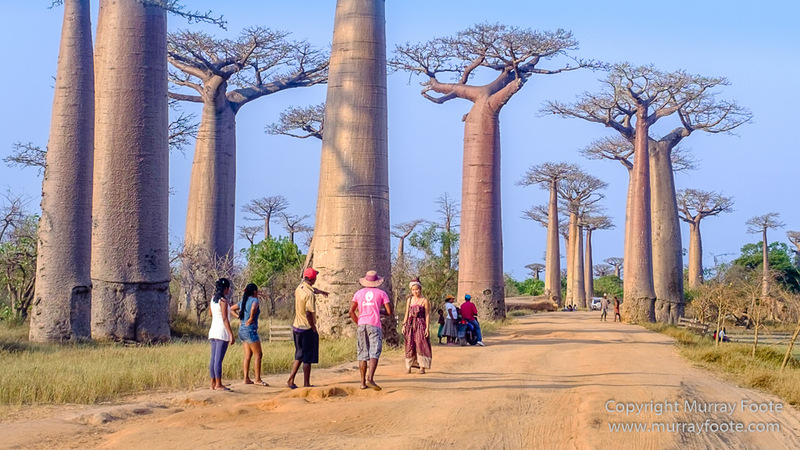 Avenue of the Baobabs, near Morondava, Madagascar. 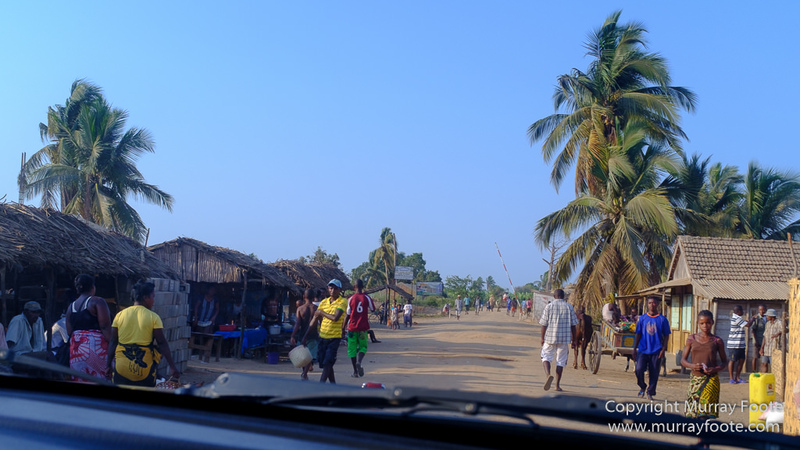 From Morondava, we headed off in a minibus for our next wildlife destination of Kirindy. On our way we were to head through the renowned Avenue of the Baobabs. It was getting late so we weren’t going to stop. But it was getting late and the light was great so I took what I could through the windscreen while we drove on…. 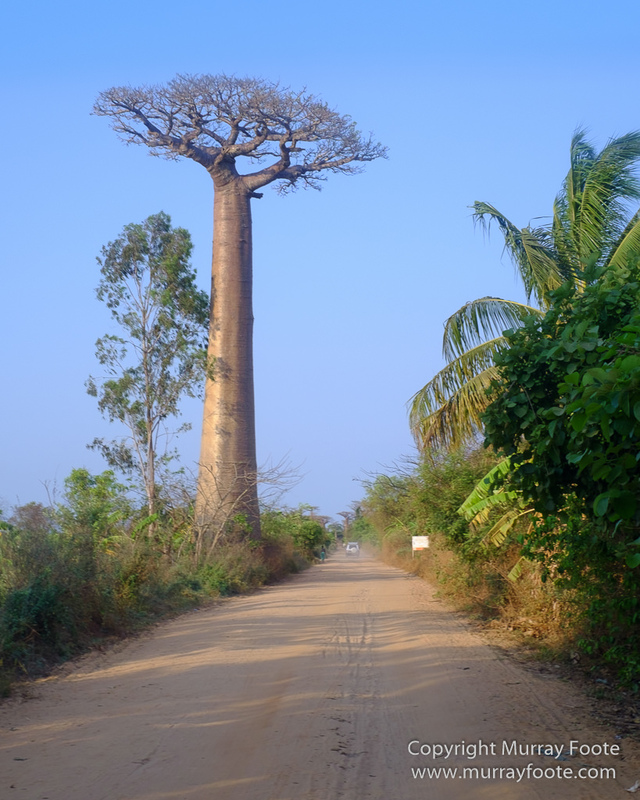 There’s something a little sad about the Avenue of the baobabs when you think about it. 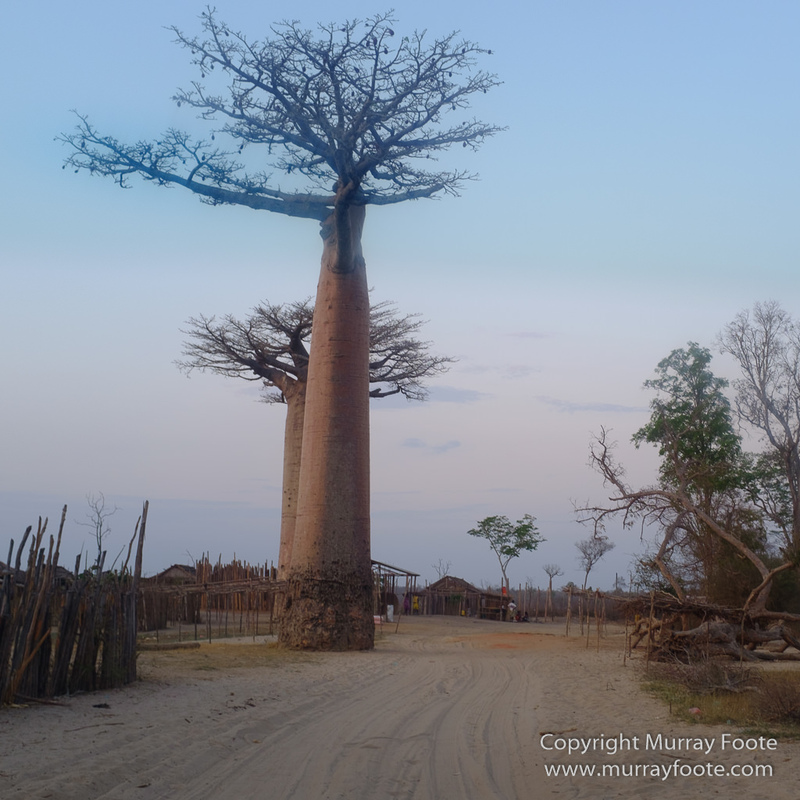 Baobabs don’t just grow like that, they would originally have grown to the height of the forest canopy. The forest was cleared for agriculture or felled for valuable woods such as rosewood and ebony, and most of the wildlife would have disappeared. 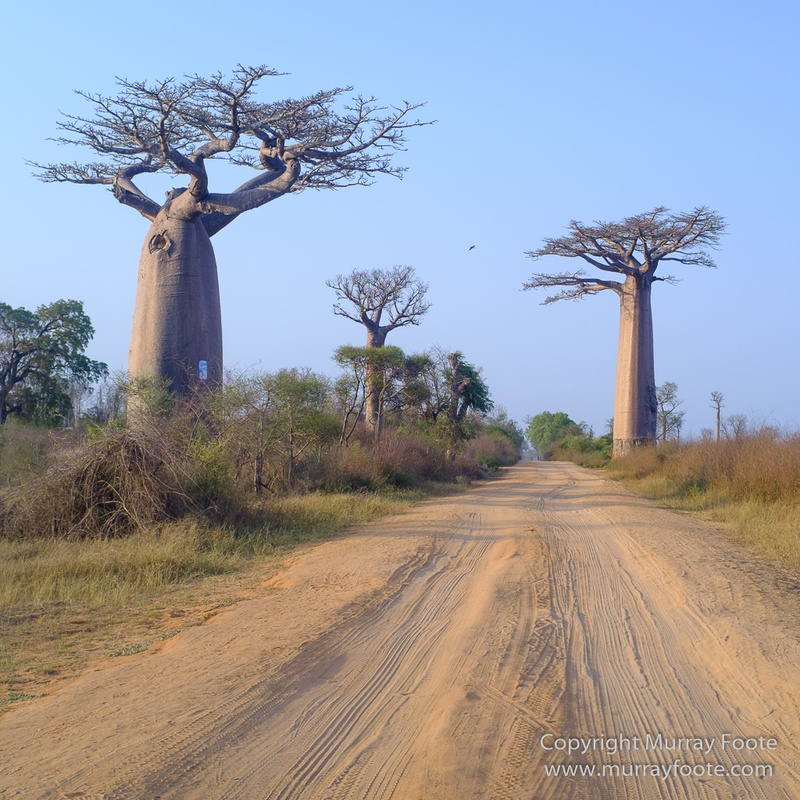 They left the baobabs because the wood inside is soft and pulpy and not good for building anything. These giants will have been there for a long time but when they die they won’t be naturally replaced because there is no forest anymore to protect the young baobabs. There are quite a few tourists at the end near Morondava but as you go further it’s mainly just the locals walking along the road. This is still at the Morondava end. 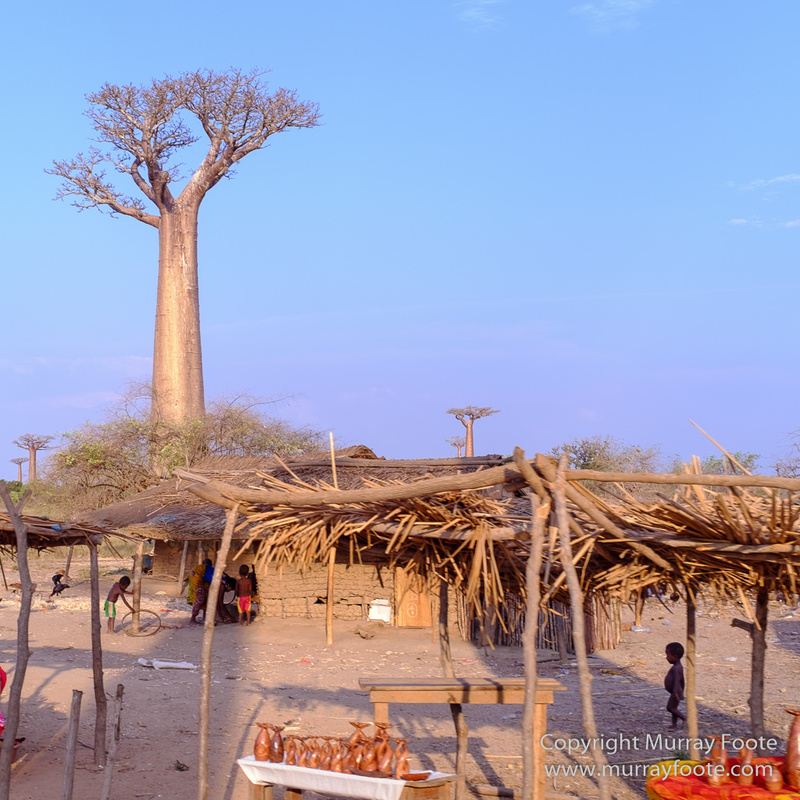 A local village with some ceramic baobabs for sale in front. 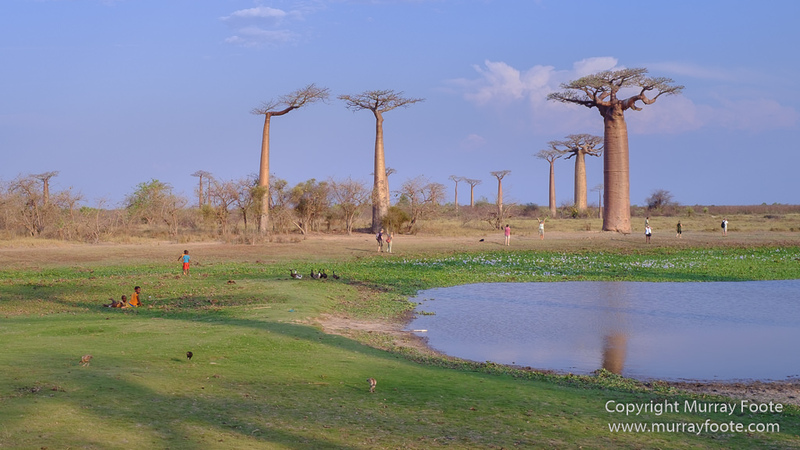 Madagascar is the home of the baobabs. It has six of the nine species worldwide. Of the other three, two are in Africa and one in Australia. Obviously the genus originated when the three land masses were joined. This is a taxi-brousse, Madagascar’s cheap form of public transport. It’s full to the gunwales with people inside. 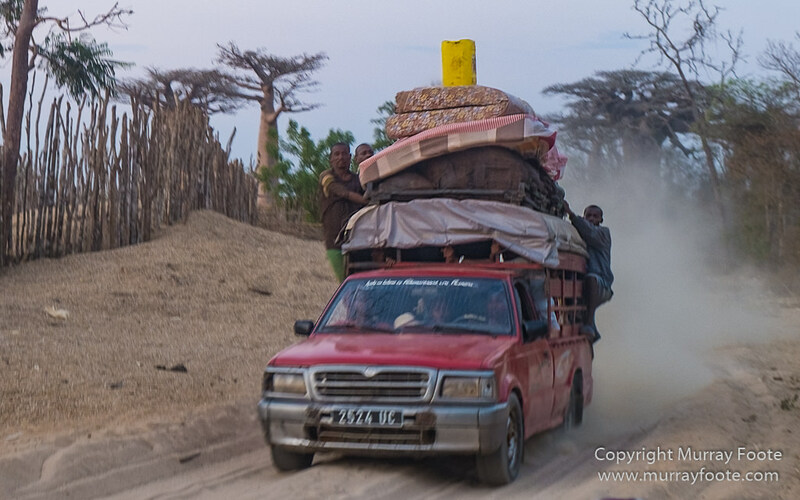 Their possessions are strapped on to the roof. A couple of people are hanging on on the outside. How far it has come I have no idea. Maybe a nearby town, maybe as far as Tana, many hours away. The image is not quite in focus but is too intriguing to omit. Around the time of sunset, approaching a local village. 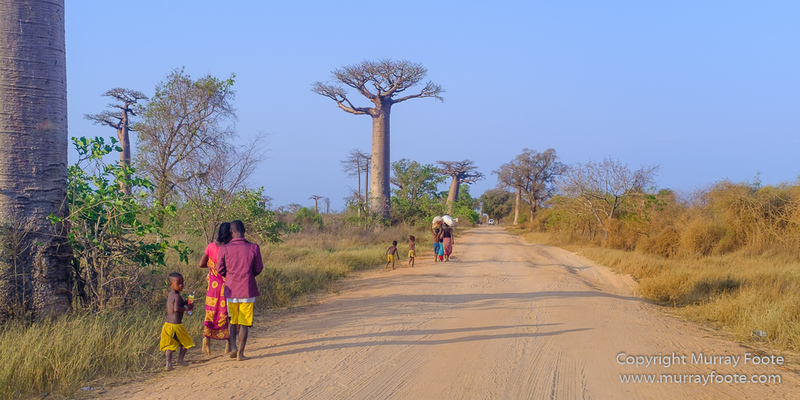 This entry was posted in Madagascar and tagged Avenue of the Baobabs, Landscape, Madagascar, Morondava, Photography, Street photography, Travel. Thanks very much! Another post to come from here on the way back from Kirindy. They are indeed. This is the place everyone seems to go to. One wonders what might be around in more remote parts of the country.